Perfect Scissors Large (7.5) - $30.00 : Edinburgh Imports, Inc., Your source for teddy bear making supplies & 100% Schulte® German Mohair. 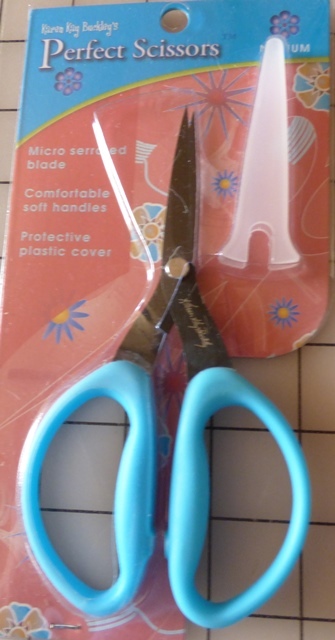 Details: These are fantastic little scissors! They have a micro serrated blade for finer scissor sculpting. When using a serrated blade the fibers do not slide off the end of the blade as you cut. They have a soft comfortable handle so your hands can trim for a longer time period. They also come with a protective blade cover. This decreases the chance of damaging the blades and protects you from getting stabbed with sharp points.